Heavy-duty D-ring binder is made from 70 percent post-consumer products and is 100 percent recyclable. 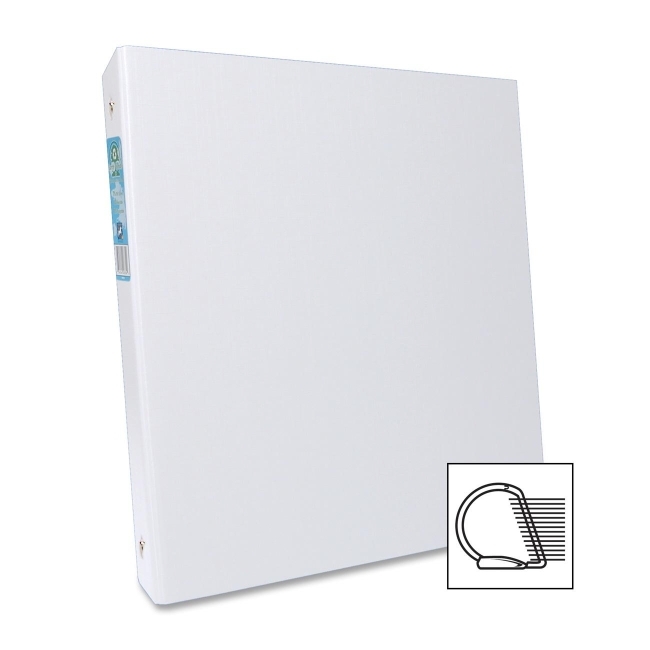 Binder does not contain any VOCs (Volatile Organic Compounds). Heavy-duty three rings withstand repeated use and hold more sheets than round rings for greater capacity in the same-size binder. Open and close triggers allow easy access to letter-size documents.